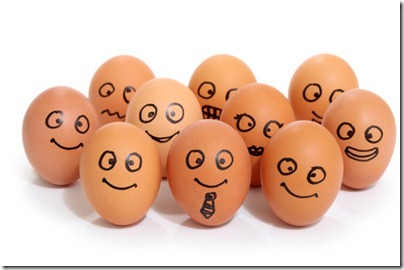 Comments Off on Is Positive Emotion relevant to Business? Is Positive Emotion relevant to Business? We all like to feel good, don’t we? I recall many years ago the BBC Radio breakfast DJ Chris Evans said something like ‘in order to appreciate feeling good you have to feel bad’, or some variation on that duality. But, does feeling good have any benefits in the workplace beyond, well, feeling good? One of the worlds leading researchers in positive emotions is Barbara Frederickson. With her colleagues Dr. Frederickson formed the Broaden-and-Build Theory of Positive Emotions which you’ll find summarized at her PEPLab site, and in her book Positivity. Among the things we can learn from the research is the effect positive and negative emotion have on our ability to creatively engage in a task or activity. From my own experience, approaching a problem in a good mood certainly helps with engagement, leading to a frame of mind open to opportunities and possibilities. When I compare it to approaching a task or problem in a negative mood, I’m much more likely to create a ‘why this is doomed’ approach, or at least find it harder to engage. Although rarely black and white, it does seem like common sense that approaching an activity with positivity increases your chances of a great outcome. What isn’t common sense and why I think Frederickson’s research is so interesting, is that it’s unusual for us to take advantage of this, that is, to actively try and engage positive emotion at work. The quick version of the broaden and build theory is that positive emotions make us more open, they broaden our mind so we are better able to make connections and discover new information. It’s perfect for problem solving, enabling a more creative state of mind. This in turn means you’re more likely to learn new things and have a wider range of approaches and experience, which buildsyour resources over time. So, not only are we more successful in the moment, but over time we grow our talent as well. Just taking this last example ‘an unbalance approach to criticism’ – Frederickson put a number on the amount of positive to negative emotion shown in successful and unsuccessful business teams. The magic number is a ratio of 3:1… 3 times more positive emotion than negative. A practical example, and a setting used in the research, is the interaction between people in the same meeting. For example, if an idea is raised, a positive interaction might entail people asking about and exploring the idea – ‘that sounds interesting, though I’m not sure I understand, tell us more’, whereas ‘no, that doesn’t sound like it will work’ is a negative one. Of course, some ideas raised may well be untenable and exploring them a waste of time. The point is that successful, high performance business teams showed a positivity to negativity ratio above 3:1, and unsuccessful business teams showed a ratio of less than 1:1. Incidentally, there’s also also a threshold for being too positive, it’s 11:1. Here there’s so much positivity as to be blind to the challenges or pitfalls of an approach, and the downsides aren’t considered. Which makes it worth pointing out that some negativity is beneficial and realistic, specifically as we’ve just learned, a positive to negative ratio between 3:1 and 11:1. So there we have it, well a bit of it anyway… positive emotion can make you and your organisation more successful.